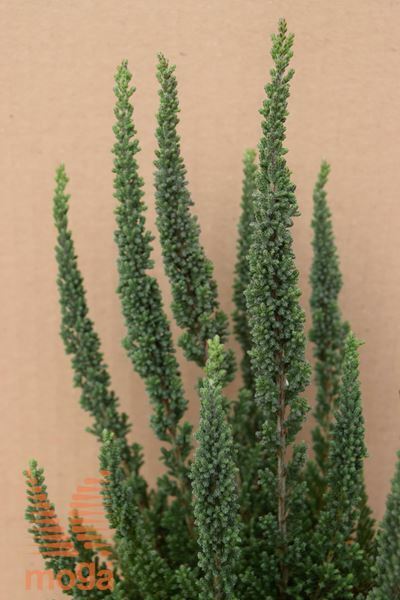 Small, pillow-shaped, slow growing evergreen shrub (H 20-40 cm, W 20-40 cm). Stems upright. Leaves pressed against the twig, scale-like (0,2-0,3 cm), smooth, glossy, green. A tough, undemanding, long-lived ground-covering shrub. It grows well in acidic, humus-rich, partly sandy, light soils, also in moist and peaty soils, in sun or semi-shade.